German Cities: Berlin, Frankfurt, Munich, Cologne and Stuttgart are some of the major cities of Germany. Berlin is the capital city and Frankfurt is the business center of Europe. Germany (German: Deutschlandkarte) located in the central Europe is bordered by nine other European countries. Germany truly a land of thousand possibilities feels proud to have some of the world famous cities in the world. Cities in Germany are famous for architectural splendor in form of abbeys and castles, medieval villages, wine flowing countryside and the culinary savories prepared here. Cities in Germany include Berlin, the capital of the country and famous for its jazz concerts; Munich world renowned for its annual Oktoberfest celebration and Hamburg, the second largest city of Germany also known as the Venice of Germany. 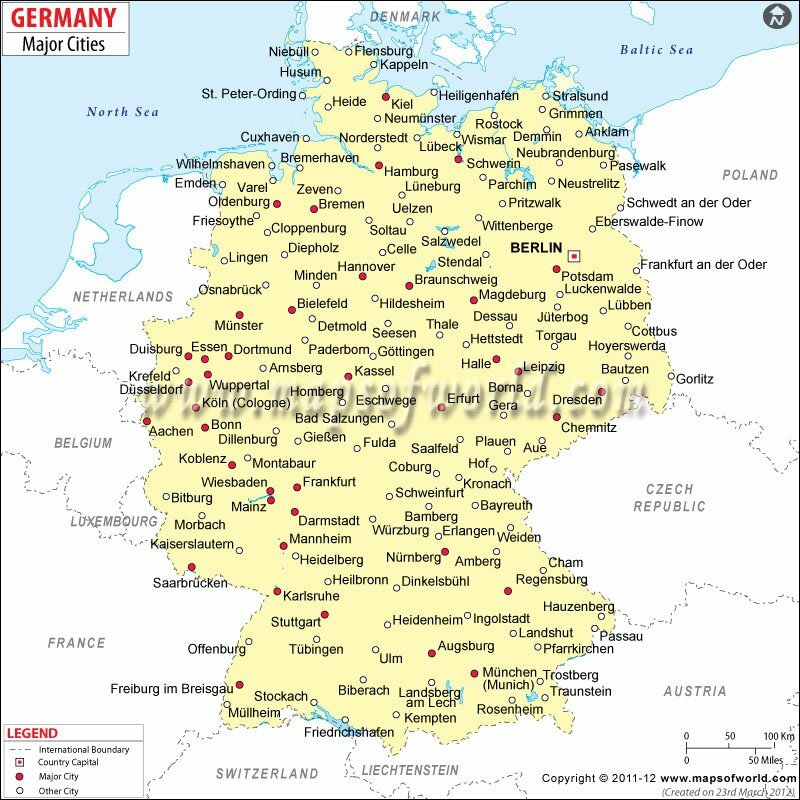 Cities in Germany section include city maps of various cities like Frankfurt city map, Hanover city map, Leipzig city map, Stuttgart map and Berlin map. Apart from this the section also includes Germany political map, Germany mineral map, Germany location map and economy of Germany.